Thanks to the gracious assistance of the organisation team, we will be hosting a live panel discussion with studio audience on Thursday morning at 8:00-9:45am in one of the Dolphin Europe rooms (exact location to be confirmed). I think this is a perfect spot as we can review the conference in detail and this fits in just before the final-day events over at the Swan (Gurupalooza, Ask the PMs, Ask the Developers). They’ll be a chance to ask questions (or heckle) from the audience, they’ll be giveaways, and we’ll of course be recording audio and video to share later. It promises to be great fun. So, mark 8-9:45 on Thursday in your very busy Lotusphere diaries (we’ll look to kick off recording before 8:30), and make sure you’re there – it’s definitely one Lotusphere event not to be missed! 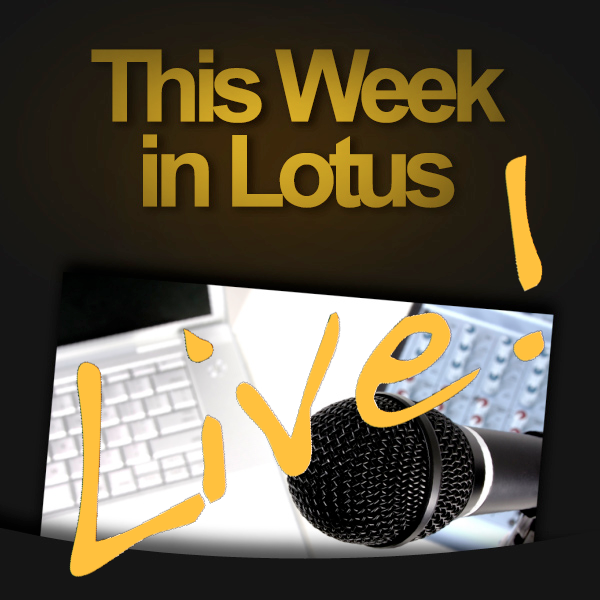 ← A reminder – This Week in Lotus Live! from Lotusphere 2012 – Thursday, 8:15-9:45 in Europe 6!